ICELAND. Borgarfjörður Eystri. 2007. 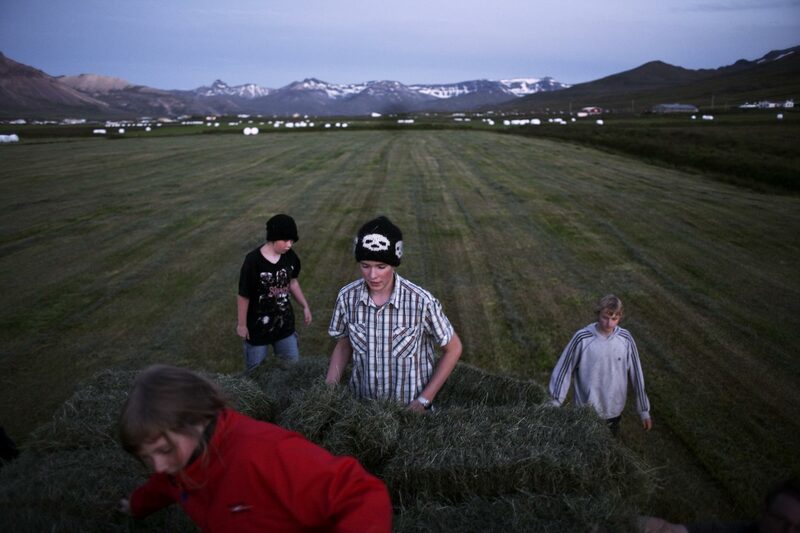 Teenagers and children work to salvage hay that has been drying in the field. It was reported to rain the next day, so to save the hay, they had to get it all inside quickly.